Why not opt for Sofia Coppola's slick, modern villa? Welcome to a slice of Bali in Belize. 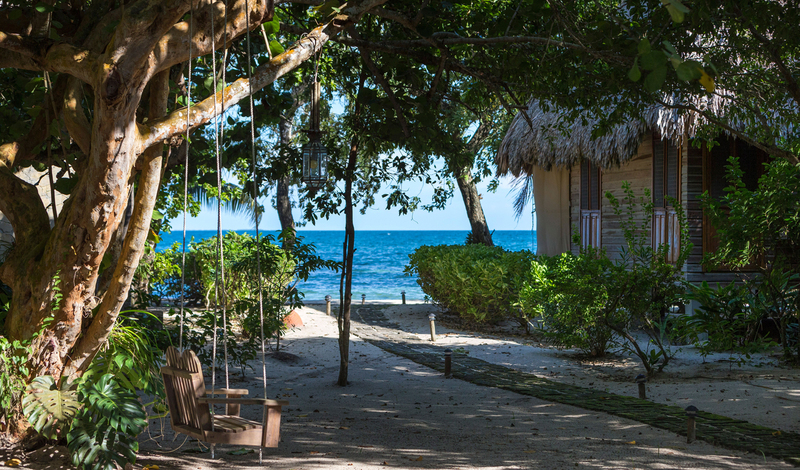 This seaside hideaway on a slip of pristine Belizean coast is the glamorous rustic-chic beach resort from Francis Ford Coppola. This exotic refuge, infused with the relaxed vibes of Indonesia, caters to a well-heeled crowd who are in-the-know. Laze on whiter-than-white sands and explore the iridescent waters of the Caribbean Sea with a spot of snorkelling, before wandering over to the hotel’s wall-to-wall glass-encased wine cellar to savor the range of over 1,200 select vintages. 25 rustic cottages and villas are dotted around the resort, either tucked away in the lush greenery or gazing dreamily out to sea. 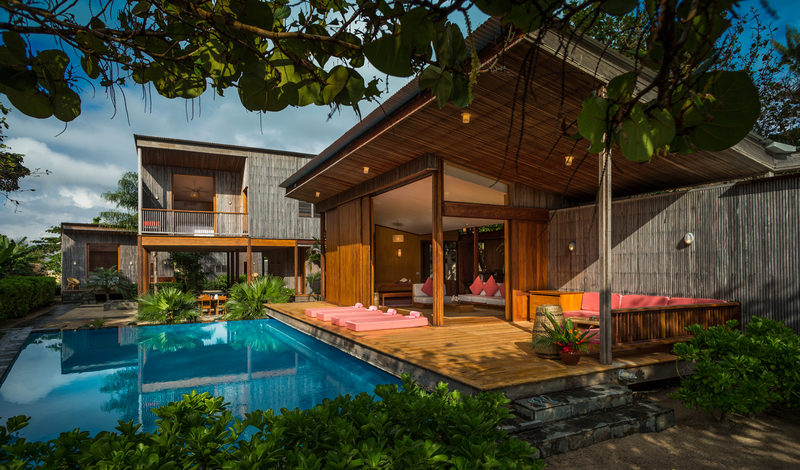 Everyone enjoys their own private walled garden with an outdoor shower, and Balinese hand-carved doors and décor throughout adds a touch of artisanal luxury. Air-con addicts be warned though: this is an eco-minded resort and rooms are cooled by sea breezes and traditional design. Turtle Inn is perched at the southern tip of the sandy Placencia Peninsula known for its palm-fringed beaches, with the Caribbean Sea to the east and a lagoon to the west that looks across to the mountainous mainland. Stroll over to the local Creole fishing village by the resort to pick up wooden handicrafts to take home, and dine on everything from Caribbean snacks and Mexican-inspired dishes as well as the abundance of fresh fish and seafood. Not many places can boast a private island, but Turtle Inn has recently upped the ante when it comes to island getaways with its newly opened Coral Caye. This private island, previously enjoyed by the Coppola family themselves, offers a luxe Robinson Crusoe experience for up to 10 guests. However, we think it’d be best as a romantic retreat for two – complete with on-hand caretakers to cook, organize bespoke excursions and arrange al-fresco massages and spa treatments. Or if you’d prefer to explore mainland Belize, that’s not a problem. From cliff jumping off the Rio Blanco Waterfall to gliding down the Monkey River in search of local wildlife, Turtle Inn is at hand to organize a host of exciting adventures.